Before Game 2 of the Predators’ second-round series against the Blues last night, P.K. 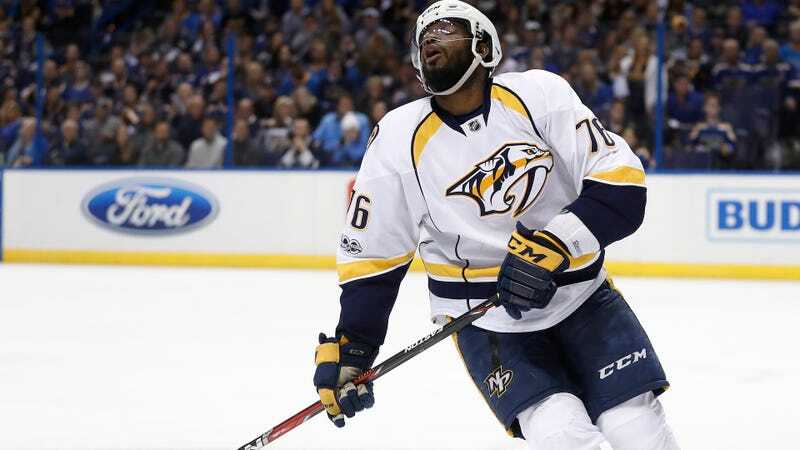 Subban was seen on camera dancing, trying out some tricks, and generally being a happily relaxed player during warmups. Yes, because there is nothing so deserving of a rap on the head as a player warming up by getting loose during warm-ups and showing that he might perhaps actually enjoy the game to which he’s dedicated his life. How dare he endear himself to fans and others by showing the basic foundation of a personality and having the slightest bit of fun outside a game situation. Clown!